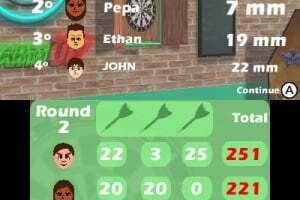 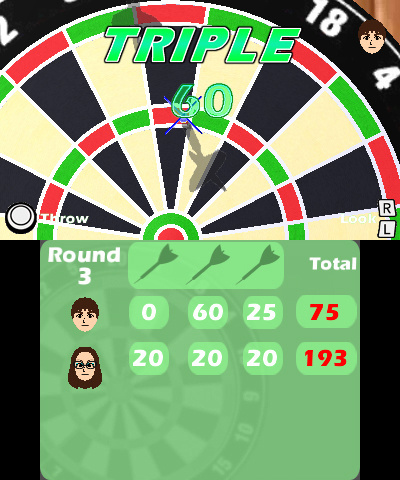 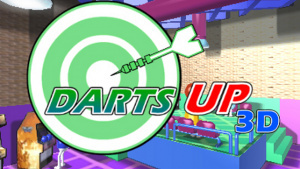 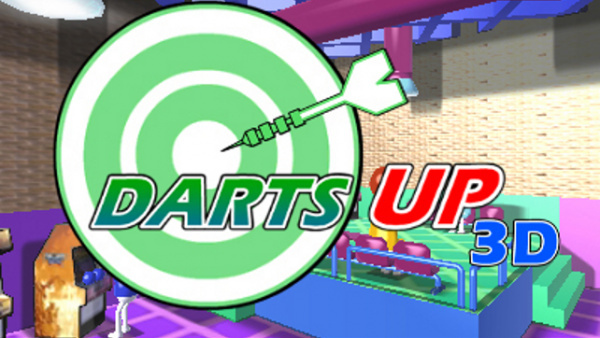 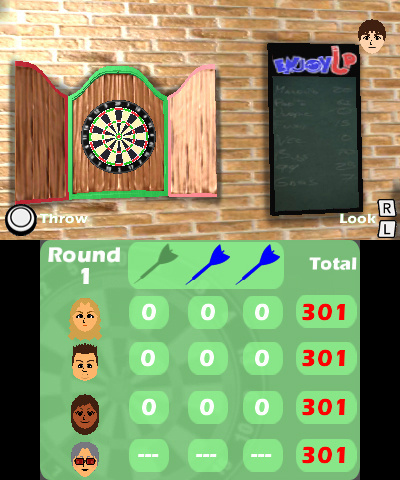 The ultimate darts game is now on Nintendo 3DS. 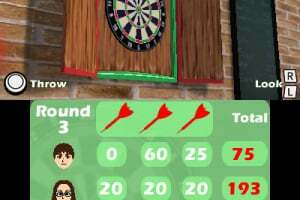 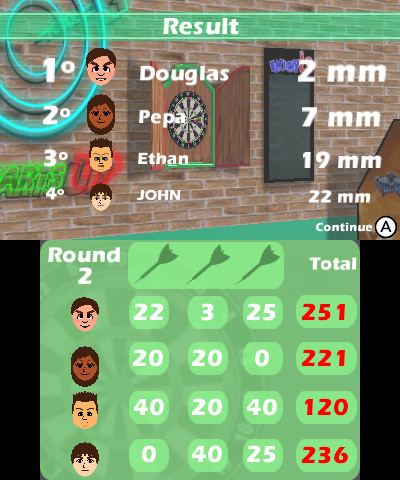 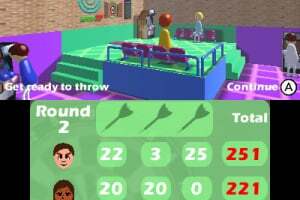 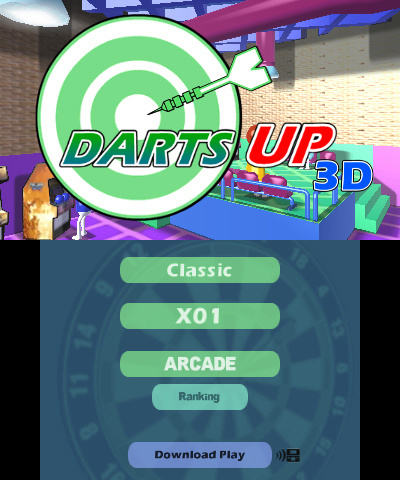 Darts Up 3D is a fun game of darts in which you will have complete control over aiming thanks to the Nintendo 3DS motion sensor. 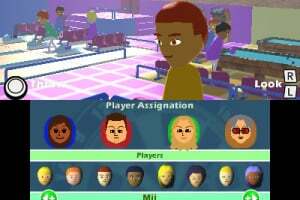 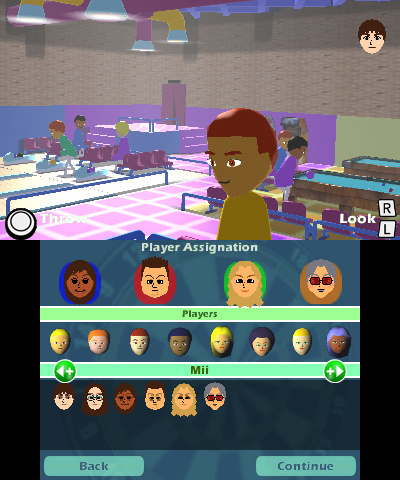 You can play with your friends and family, up to a maximum of 4 Players, using the Mii to create your profile. 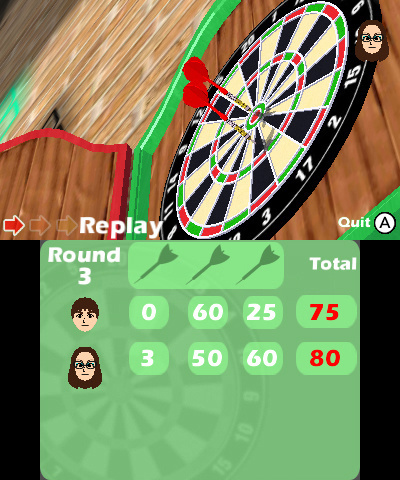 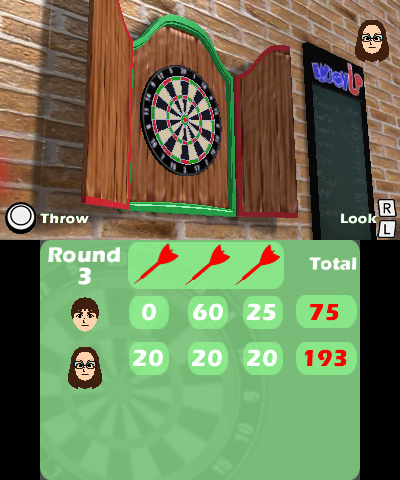 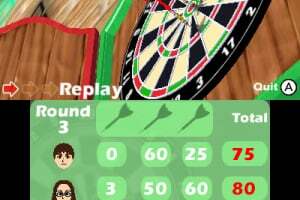 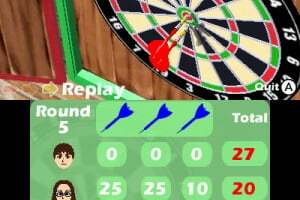 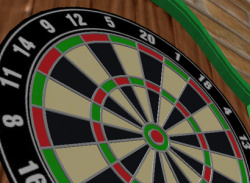 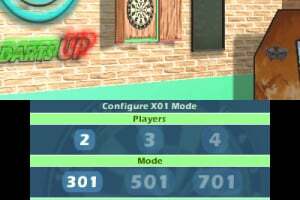 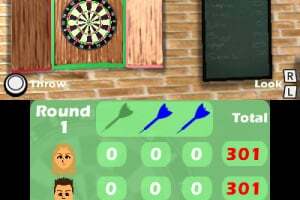 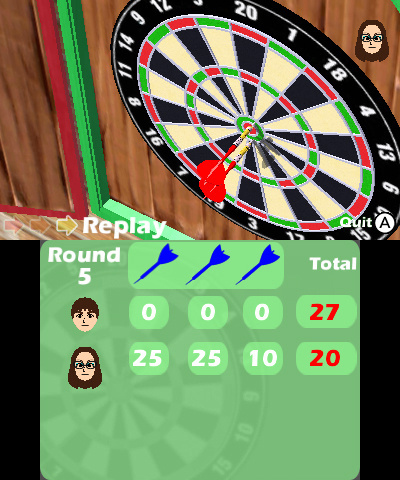 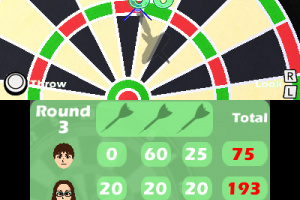 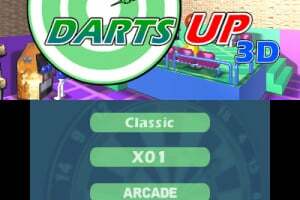 Darts Up 3D has several playing modes, including the famous 501. 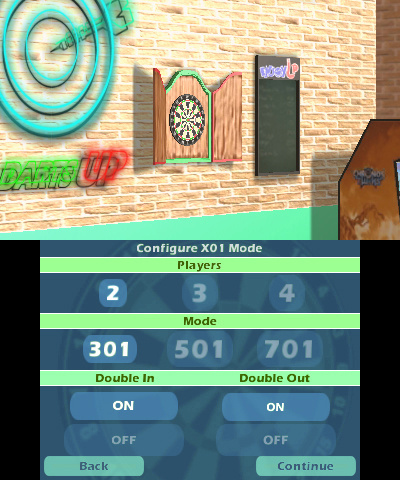 Send the full Darts Up 3D using the "Download Play" option. 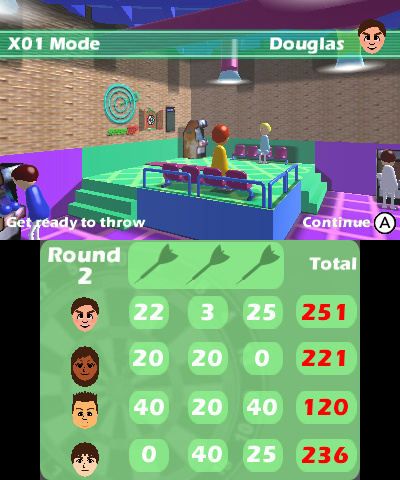 4 Players on just one Nintendo 3DS™.